How Long Should Your Boiler Last? How long your boiler lasts will depend on many factors, including the type of boiler that you have in your property, how well your boiler had been maintained, and whether you have cared for your boiler with regular servicing by qualified plumbers. The two main types of boiler are combination boilers and condensing boilers. Combination boilers about both heating and hot water from a single boiler. Condensing boilers on the other hand are more energy efficient and therefore are becoming more popular, and they work by preheating cold water using the waste flue gases within the unit. Condensing boilers typically have an efficiency of over 90%. Of course having a boiler that are more energy efficient but also carry the added benefit of reduced utility bills in your home. 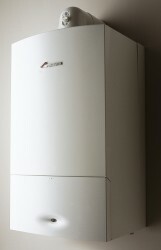 Typically, most plumbers will agree that a boiler should last around 10 years before it will need replacing. However the lifespan of your boiler may be shorter or longer depending on how well your boiler has been maintained over the years. 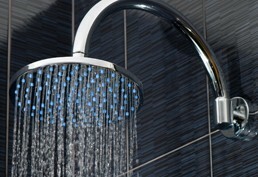 For example, if your plumber regularly services your boiler (i.e. You have your boiler serviced at least once every 12 months), your boiler can last 15-20 years. If on the other hand you do not maintain your boiler, do not have your boiler serviced on a regular basis, do not keep your boiler clean, and do not deal with repairs when they are needed and any parts of your central heating system, chances are that your boiler will only last 2-5 years. As with any part of your home, your boiler and central heating system need to be cared for in order to last for long periods of time, and so therefore it is wise to keep your boiler clean and free of any dust and debris to reduce the risk of your boiler breaking down during winter months when you need it most. Boiler and central heating repairs are very common during winter, and therefore you may find that your plumbers may charge more during the busy times for any repair work that may be required. At search, it is sensible to have your boiler serviced during the summer months to ensure that the boiler is in good working condition when winter arrives. Something else that you may wish to consider is a discussion with your plumber about kinds of boilers and central heating system that are available for your property as there may be particular brands that have a longer lifespan than others. 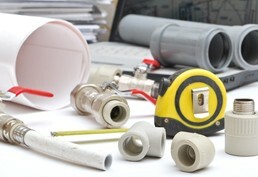 Checked their qualifications and then many years experience in the plumbing trade, most plumbers will have an extensive knowledge of different brands of boilers and heating systems that are available and which are more durable. They may also be able to advise you on which brands require the least maintenance. Remember having a more efficient boiler, you may not only be increasing the lifespan of your boiler unit, you could actually lowering costs of the utility bills in your home too. If you are uncertain about whether your boiler need replacing, it is essential that you contact a gas safe registered plumber as soon as possible to have your client assessed for the safety of you, your family or anyone else who lives in your property.